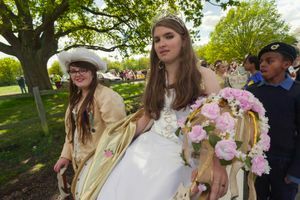 The Merrie England and London May Queen Festival began in 1913 and continues to the present day. 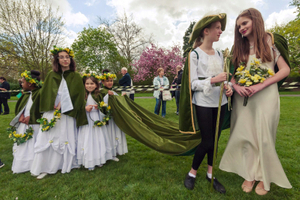 I began photographing this and other May Queen festivals in London in 2005 and produced a preliminary book for the crowning of the 100th London May Queen which I photographed in 2012. 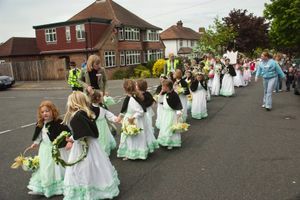 There are around 20 May Queen groups or 'realms' in South London and its outskirts who take part in the May Queen festival, each with its own May Queen. 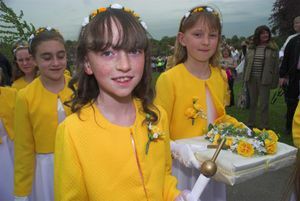 Girls generally join the group when they are around five, and work their way through the various roles in the group to become their realm May Queen. 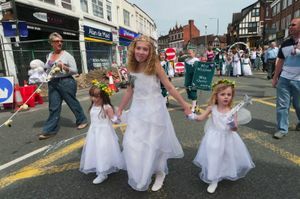 They may then go on to join the London May Queen group where there are various character roles. 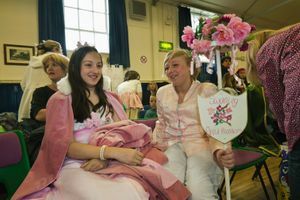 If they keep in the organisation the most senior each year becomes London May Queen at the age of around 16 or 17. This is a very small selection from a large body of work. 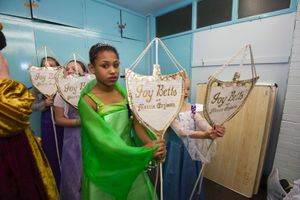 More can be seen in my Blurb book 'London's May Queens' or on my web site 'My London Diary'. The event carried on every year since it started, even during the war. 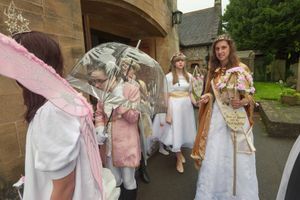 In two of the years I photographed it, heavy rain disrupted the event but it still went on, using the village hall in one year and inside the parish church for part of the event when cloudburst interrupted the procession around the local area. 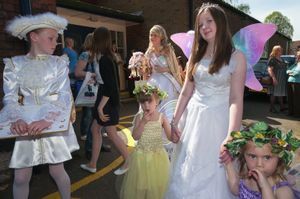 Leading up to the main event there are a number of local events involving smaller numbers of the realms, which I have also photographed, along with a publicity and fund-raising fancy dress pub crawl by one group of parents. 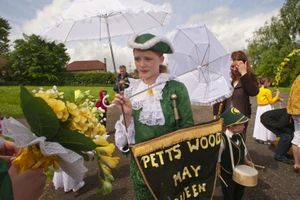 It is an interesting survival into the current age, and its continuance is very much down to some families who take part, with three generations of May Queens in some of them. 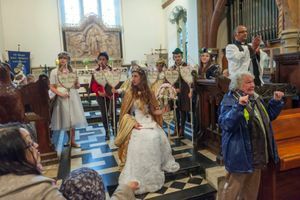 The May Queen realms take part in local events which often raise money for various charities, and they learn to perform and speak in public, as well as having fun. Some groups give maypole dancing exhibitions. 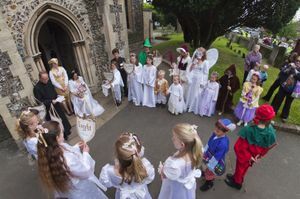 The main annual event where the London May Queen is crowned is performed with various ceremonies, including a short religious event usually outside the local parish church, and these use words written in the early years of the event by its founder.